Our approach starts with collaboration. Projects are uniquely designed so the people we serve are dependent not on us – but on God and each other. A project might be initiated from SonLight Power or it might come from a U.S.-based partner such as a church, mission organization or foundation. It might also originate from one of our partners outside the U.S. – in a country where there is an identified need and local support. Typically, our partners identify projects and raise the funds necessary to complete each mission. 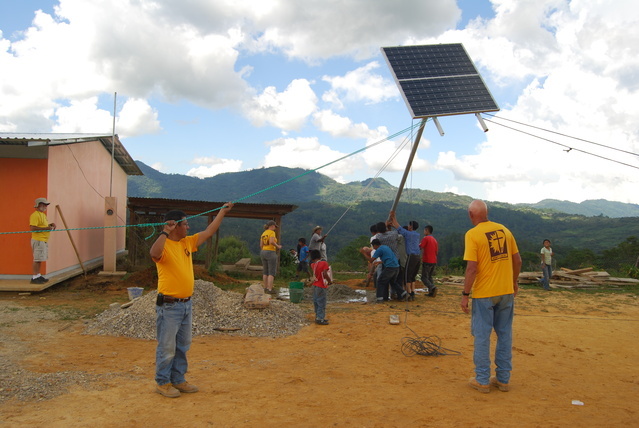 SonLight Power designs the project, obtains the solar energy equipment through our vendors, ensures that it arrives on the job and provides training for those who participate on the mission trip. If you have a project in mind that you’d like to discuss with SonLight Power, or to find out about mission teams that are forming now, please visit the Equip Your Mission page or send an e-mail to Info@SonLightPower.org for more information.